My business is with Arbonne International. We provide health and wellness products for the entire family. Over 400 products to choose from with clean, safe ingredients. We also provide business opportunities to those looking to make an additional stream of income. Arbonne has been around since 1980 and was founded by a Norwegian botanist. His vision was to have only pure, safe and beneficial ingredients. Over the last 37 years, Arbonne has not swayed from that vision. Our products are formulated according to the strict standards of Europe. Why do you do what you do? What motivates you in your business? I am a consultant for Arbonne because health is important to me. I want to use products on my and my families bodies and in our house that are safer alternatives. I have learned so much about the inside and outside health of our bodies and how to make positive changes for a better quality of life in regards to body functions and that motivates me to educate others in the same manner. Everyone should know! Arbonne’s culture is what sets us apart. It is a culture of caring, giving and loving on not only it’s employees and consultants but also on its clients and those in need. Arbonne is committed to only offering the BEST solution for your needs whether that be nutrition, personal care, business or anything in between. Whatever someone is looking for is met with top of the line support and encouragement from Arbonne. The culture of the company sets it apart and allows for major growth. Why did you choose Siena as your home? What do you like most about living here? My family and I chose Siena because #1 I loved the location. I loved coming in off of the county road and feeling a little secluded from busy city life. We also chose Siena because we fell in love with the floorplan from our builder and had heard great things about them as a builder. What I like most about Siena is that it is beautifully developed, quiet and all people I have met are wonderful. I’m best reached by phone (call or text) 512.318.6537 or by email arbonnelife.sb@gmail.com. My personal website is www.shannonbursey.arbonne.com. You can also connect with me personally on Facebook here and visit my Arbonne Facebook Page here. All residents who want to make a purchase and mention Siena Today will be eligible for a 35% discount and free product. Holiday Line is now available through December or while supplies last. ***Lastly, ask me about our 30 day healthy living program to shed those unwanted pounds, increase energy and feel great. Thank you so much to Shannon for sharing with us! Make sure to contact her for health and wellness products here in Siena! While Shannon is your local health and wellness product expert, I am your local Siena real estate expert. 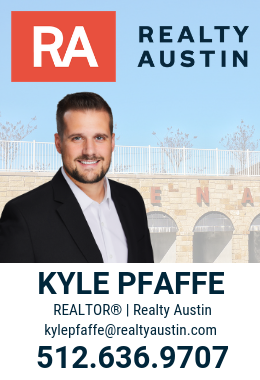 If I can be of service to you in any way, please give me a call at 512-636-9707 or contact me here.